"Fiber to the Building" (FTTB) refers to installing optical fiber from the telephone company central office to a specific building such as a business or apartment house. "Fiber to the Curb" (FTTC) refers to the installation and use of optical fiber cable directly to the curbs near homes or any business environment as a replacement for "plain old telephone service" (POTS) Fiber to the curb implies that coaxial cable or another medium might carry the signals the very short distance between the curb and the user inside the home or business. "Fiber to the Home" (FTTH) is a network technology that deploys fiber optic cable directly to the home or business to deliver voice, video and data services. By leveraging the extremely high bandwidth capacity of fiber, FTTH can deliver more bandwidth capacity than competing copper-based technologies such as twisted pair, HFC and xDSL. Fiber to the home is deployed in two primary architectures - point-to-point and passive optical network (PON). While both have their place in solving the last-mile bottleneck, a point-to-point architecture is generally deployed to businesses in metro and urban areas, while a PON is a more cost-effective solution for small- to medium-sized businesses and residences. A PON architecture allows a single fiber from the central office (CO) or headend to be split up to 32 ways, delivering high-bandwidth converged services to multiple residences or businesses, using a single optical transceiver in the CO. In a point-to-point configuration, an optical transceiver for each subscriber is required in the CO, thus substantially increasing the total cost of deployment. "Fiber to the neighborhood" (FTTN) refers to installing it generally to all curbs or buildings in a neighborhood. Hybrid Fiber Coax (HFC) is an example of a distribution concept in which optical fiber is used as the backbone medium in a given environment and coaxial cable is used between the backbone and individual users (such as those in a small corporation or a college environment). What does it cost to use fiber vs. conventional cat 5 cabling for a LAN? Fiber will cary any speed imaginable its not limited, and CAT5 carries only 100 mbit. The expense is about 1000 times CAT5 for fiber. It's VERY expensive to lay fiber. We are talking low 6 figures per about 100 feet of cable. Typical cost of multimode fiber per foot is around $0.75 compared to $0.10 for Cat5e Gigabit certified copper cable. When is it viable to string fiber cable overhead? gigibit capability. Both complain fiber to the home is too expensive, but the alternatives are not many, forcing the issue from a competitive standpoint!As to how much fiber is needed, that depends on the system used. Two fibers to the home are probably adequate (one transmits, the other receives.) Backbone cables are usually 72-288 fibers, since it is more economical to install large fiber count cables now and leave them dark. Several techniques exist to multiplex signals on the fibers, including frequency-division, time-division and wavelength-division multiplexing, so one pair of backbone fibers can serve thousands of connections. No one answer here! 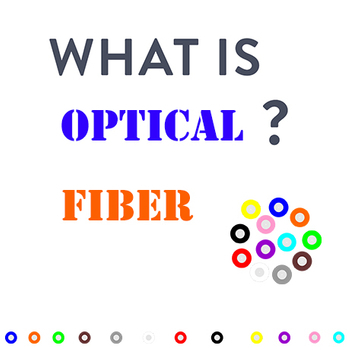 Fiber optics, or optical fiber, refers to the medium and the technology associated with the transmission of information as light pulses along a glass or plastic strand or fiber. A fiber optic cable can contain a varying number of these glass fibers -- from a few up to a couple hundred. Surrounding the glass fiber core is another glass layer called cladding. A layer known as a buffer tube protects the cladding, and a jacket layer acts as the final protective layer for the individual strand. •Core - Thin glass center of the fiber where the light travels. •Cladding - Outer optical material surrounding the core that reflects the light back into the core. •Buffer coating - Plastic coating that protects the fiber from damage and moisture. Hundreds or thousands of these optical fibers are arranged in bundles in optical cables. The bundles are protected by the cable's outer covering, called a jacket. •Single-mode fibers have small cores (about 3.5 x 10-4 inches or 9 microns in diameter) and transmit infrared laser light (wavelength = 1,300 to 1,550 nanometers). •Multi-mode fibers have larger cores (about 2.5 x 10-3 inches or 62.5 microns in diameter) and transmit infrared light (wavelength = 850 to 1,300 nm) from light-emitting diodes (LEDs). Some optical fibers can be made from plastic. These fibers have a large core (0.04 inches or 1 mm diameter) and transmit visible red light (wavelength = 650 nm) from LEDs. 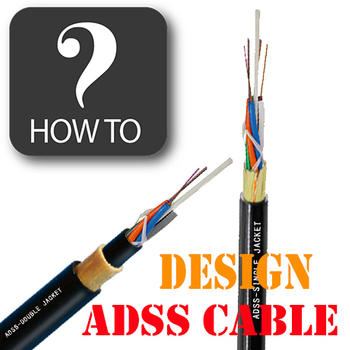 •Less expensive - Several miles of optical cable can be made cheaper than equivalent lengths of copper wire. This saves your provider (cable TV, Internet) and you money. •Thinner - Optical fibers can be drawn to smaller diameters than copper wire. 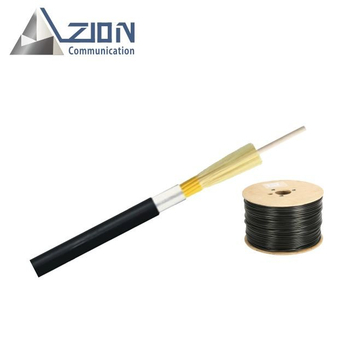 •Higher carrying capacity - Because optical fibers are thinner than copper wires, more fibers can be bundled into a given-diameter cable than copper wires. This allows more phone lines to go over the same cable or more channels to come through the cable into your cable TV box. •Less signal degradation - The loss of signal in optical fiber is less than in copper wire. •Light signals - Unlike electrical signals in copper wires, light signals from one fiber do not interfere with those of other fibers in the same cable. This means clearer phone conversations or TV reception. 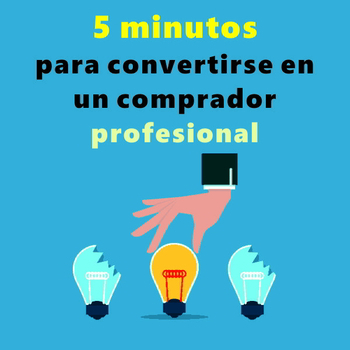 •Low power - Because signals in optical fibers degrade less, lower-power transmitters can be used instead of the high-voltage electrical transmitters needed for copper wires. Again, this saves your provider and you money. •Digital signals - Optical fibers are ideally suited for carrying digital information, which is especially useful in computer networks. •Non-flammable - Because no electricity is passed through optical fibers, there is no fire hazard. •Lightweight - An optical cable weighs less than a comparable copper wire cable. Fiber-optic cables take up less space in the ground. Fiber optics transmit data in the form of light particles -- or photons -- that pulse through a fiber optic cable. The glass fiber core and the cladding each have a different refractive index that bends incoming light at a certain angle. When light signals are sent through the fiber optic cable, they reflect off the core and cladding in a series of zig-zag bounces, adhering to a process called total internal reflection. The light signals do not travel at the speed of light because of the denser glass layers, instead traveling about 30% slower than the speed of light. To renew, or boost, the signal throughout its journey, fiber optics transmission sometimes requires repeaters at distant intervals to regenerate the optical signal by converting it to an electrical signal, processing that electrical signal and retransmitting the optical signal. Multimode fiber and single-mode fiber are the two primary types of fiber optic cable. Single-mode fiber is used for longer distances due to the smaller diameter of the glass fiber core, which lessens the possibility for attenuation -- the reduction in signal strength. The smaller opening isolates the light into a single beam, which offers a more direct route and allows the signal to travel a longer distance. Single-mode fiber also has a considerably higher bandwidth than multimode fiber. The light source used for single-mode fiber is typically a laser. 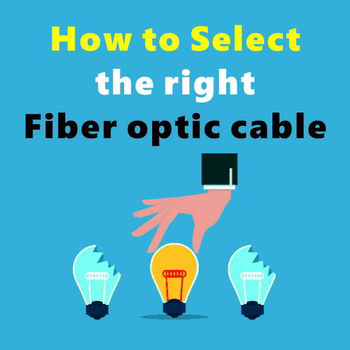 Single-mode fiber is usually more expensive because it requires precise calculations to produce the laser light in a smaller opening. Multimode fiber is used for shorter distances because the larger core opening allows light signals to bounce and reflect more along the way. The larger diameter permits multiple light pulses to be sent through the cable at one time, which results in more data transmission. This also means that there is more possibility for signal loss, reduction or interference, however. Multimode fiber optics typically use an LED to create the light pulse. While copper wire cables were the traditional choice for telecommunication, networking and cable connections for years, fiber optics has become a common alternative. Most telephone company long-distance lines are now made of fiber optic cables. Optical fiber carries more information than conventional copper wire, due to its higher bandwidth and faster speeds. Because glass does not conduct electricity, fiber optics is not subject to electromagnetic interference and signal losses are minimized. In addition, fiber optic cables can be submerged in water and are used in more at-risk environments like undersea cable. Fiber optic cables are also stronger, thinner and lighter than copper wire cables and do not need to be maintained or replaced as frequently. Copper wire is often cheaper than fiber optics, however, and is already installed in many areas where fiber optic cable hasn't been deployed. Glass fiber also requires more protection within an outer cable than copper, and installing new cabling is labor-intensive, as it typically is with any cable installation. Computer networking is a common fiber optics use case, due to optical fiber's ability to transmit data and provide high bandwidth. 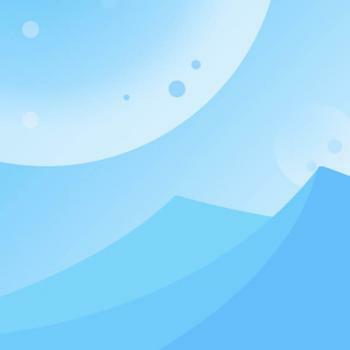 Similarly, fiber optics is frequently used in broadcasting and electronics to provide better connections and performance. Military and space industries also make use of optical fiber as means of communication and signal transfer, in addition to its ability to provide temperature sensing. Fiber optic cables can be beneficial due to their lighter weight and smaller size. Fiber optics is frequently used in a variety of medical instruments to provide precise illumination. It also increasingly enables biomedical sensors that aid in minimally invasive medical procedures. Because optical fiber is not subject to electromagnetic interference, it is ideal for various tests like MRI scans. Other medical applications for fiber optics include X-ray imaging, endoscopy, light therapy and surgical microscopy. The number of fibers in a cable varies from 4 to 96 (more number of fibers are provided upon request). 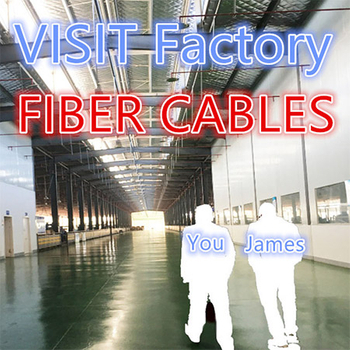 OPtical fiber cables will generally undergo 4 processes of production line such as Coloring Line, Secondary Coating Line, SZ-Stranding Line and Sheathing Line. Fiber coloring Process is carried out to mark the fiber. For easy identification of insdividual fiber inside the tubes, they are color coded. The colors have no influence. on the optical properties of the fibers. The fibers are colored using UV curable ink which are chosen as industry standard, easily in stripping, jointing and stability of optical loss under various stress. This process uses Polybutylene Terepthalate (PBTP) as tube material which extremely has good thermal, hidrolysis and mechanical properties. The tube contain fibers and are filled with special typical gel. Secondary coating or tubing process is used to protect the optical fibers during cabling and installation process. Stranding process which is around polyethylene coated central strength member applies SZ-Stranding Method. The stranding is filled with jelly as flooding Compound to fill any space of the block the flow of the water into the cable. 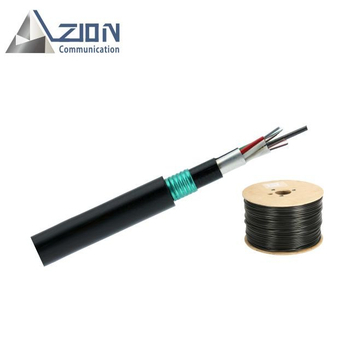 Sheathing line is an unit which its process protects the optical cable core from mechanical, thermal and chemical effects, associated with storage, installation and operation. The core covering is covered with the laminated Aluminium Polyethylene (LAP) sheath containing carbon black, to provide an electrical ground and moisture barrier. Sheathing also uses one corrugated steel tape. between inner and outer sheath to provide a mechanical protection. The sheath is ussually over printed to identity the type of cable of a particular point. 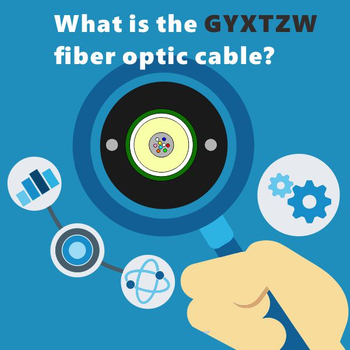 What is the GYXTZW fiber optic cable? 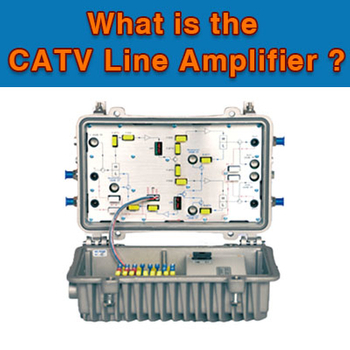 What is the CATV Line Amplifier?